I know you’ll agree with me that when one visits a country (or city) show, a long look at the handicrafts section is always important. Preferably an unhurried look with a friend who sews. 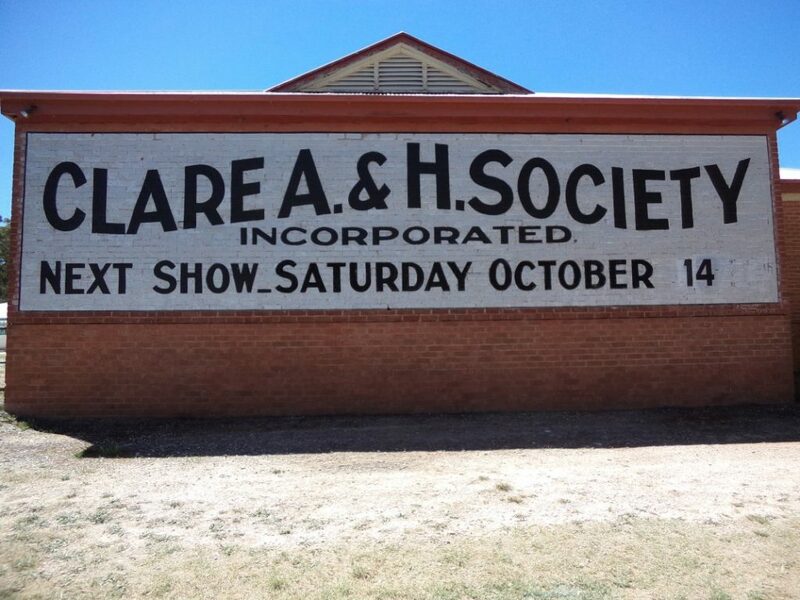 Our country show is a one-day event, which we went to yesterday. 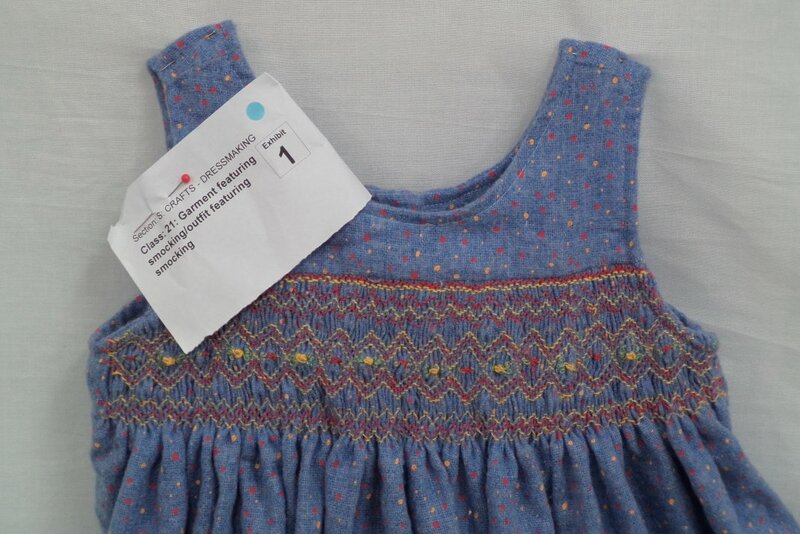 I had vowed to enter an exhibit this year but got too busy with The Dressmaker’s Companion and the closing date snuck up on me (my children entered things but not sewing). Wish I had entered now; I counted only twelve dressmaking exhibits. We have to support these events! The entire dressmaking section took up only about two metres, in between the quilts and some art. The entry fee is small (50c) and so is the prize money, but the fun and kudos are BIG. 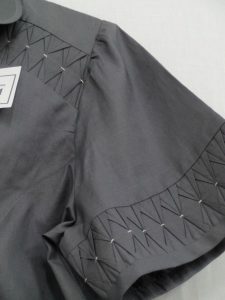 The best exhibit was a beautifully made grey blouse with detail on the yoke and sleeves. 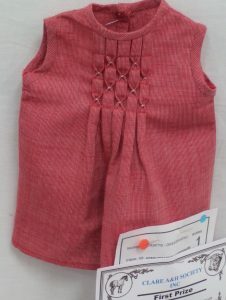 The same lady made this doll’s top. She also made the red tartan kilt in the top right of the first picture. Another lovely garment was this girl’s sundress with pretty smocking. 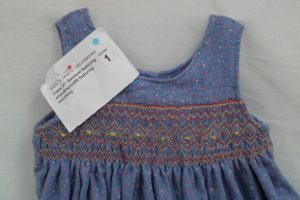 It also received a first prize. I must enter next year! The standard of sewing looks really good. I am sure most of the country shows have good exhibits. 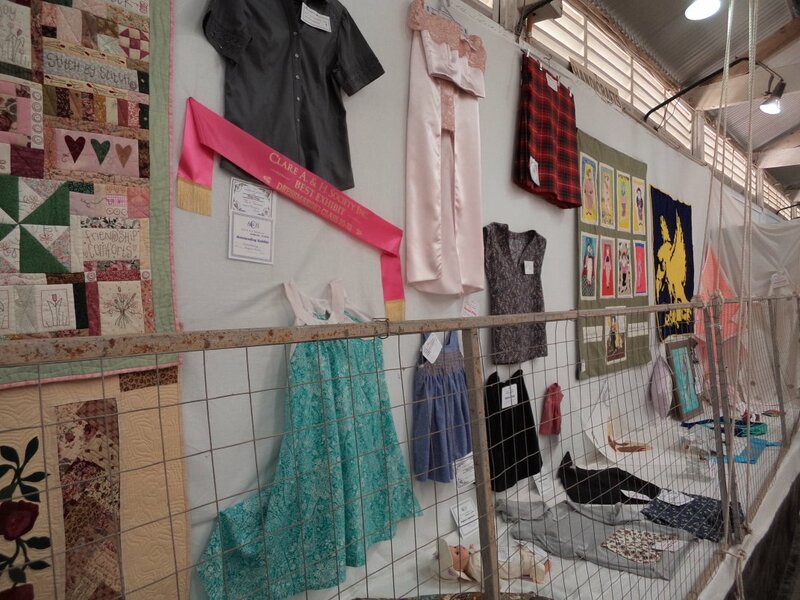 The Strathalbyn show at the beginning of October was quite well represented in the sewing/quilting and of high standard. 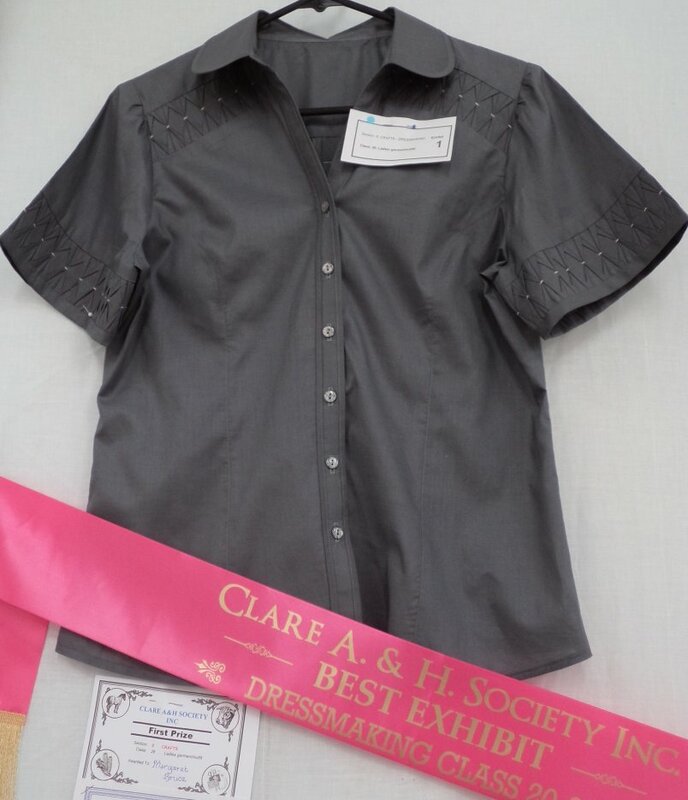 Hi Susan, I heard that the dressmaking section used to be BIG at Clare show, however sewing is still well represented in the quilts section and there is some beautiful work on show. 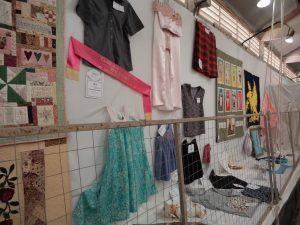 I do like how they display their exhibits, much better than how they do it at the Royal Adelaide Show with glass cabinets and everything crammed in. Yes, the blouse was beautifully made; I’m glad she won. Our show uses glass cabinets for cakes and cooking, but all the handicrafts are on the wall which is easier to get a close look.